Trying to cut M32 x .75 threads internal and external (mating pieces) in Aluminum. having no success. For the external i cut my stock to my External major Dia but after threading the diameter grows upwards of .020. I expect a little growth but this is excessive. 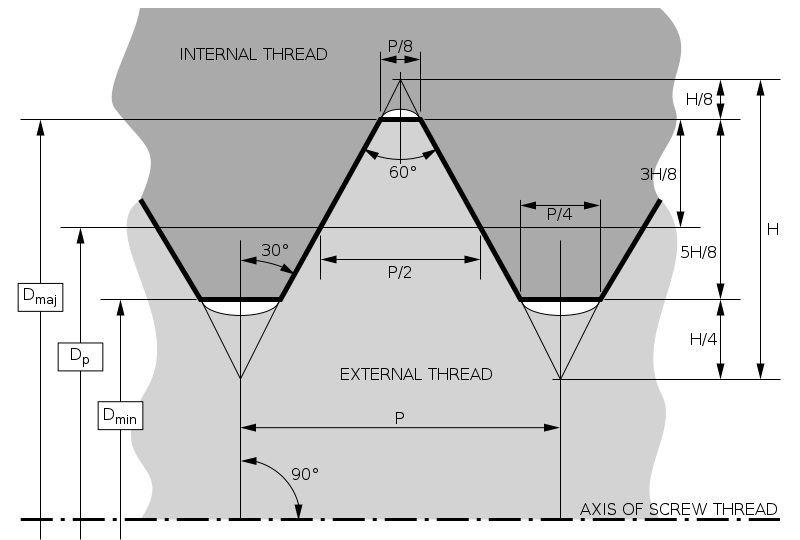 I know my pitch is right, but now i'm questioning my major and minor diameters that i found using an online calculator because this is a custom thread. Anyone got any suggestions? I need help. 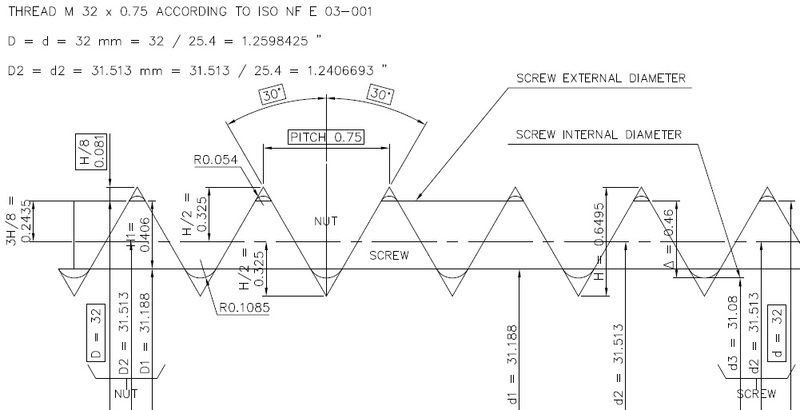 Hello Brian, I have uploaded a file in the CAD / BIM Library : SCREW H M 16 x 35.dwg with inside the example for diameter M 32 x 0.75. Please tell us if this helped or not. Hello Brian, I joint this picture because I don't know if you have AutoCAD.